Like you and me, fish need food to survive. In the wild, fish are free to find their favorite food on their own. But fish in an aquarium don’t have that same opportunity. Instead, it’s up to you to make sure that your fish receives a balanced diet to remain happy and healthy. If you have ever walked down the food aisle at your local pet store, you noticed that there are hundreds of different types of fish food – in all different shapes, sizes and colors. 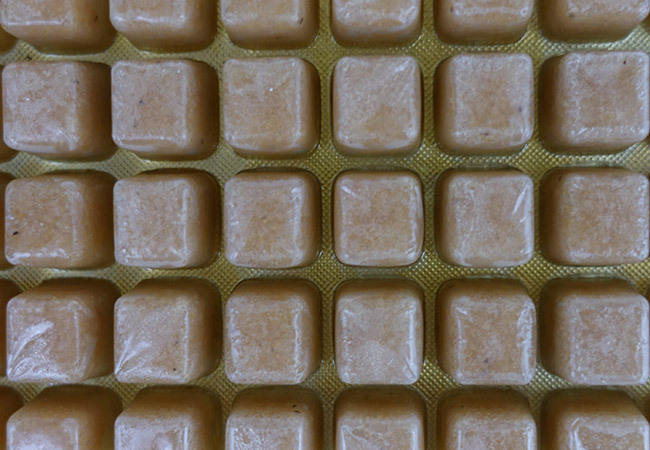 By the way, what the heck is the difference between a pellet and a tablet? Which type of food is right for your fish? As it turns out, each type of fish food has a specific purpose. 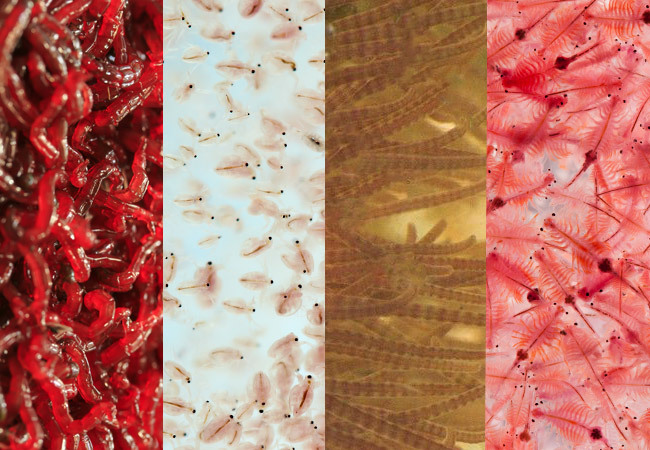 Today, I am going to take you on a tour of all the different types of fish food, including what makes each one unique. Ready? Great! Let’s jump right in…. Not only is dried food the cheapest type of fish food available, but it comes in a variety of different recipes. It doesn’t matter if your fish prefer to eat insects or other fish (carnivores), plants (herbivores) or both (omnivores) because there is a dried fish food to meet every need. Oh, and they are also the most commonly available food. In fact, you can walk into any fish store and be guaranteed that they will have dried food on the shelf. The last advantage is that dried fish food keeps well. When properly stored, many dried fish foods last for years on the shelf before they expire. As the name suggests, dry foods need to be kept dry. They will quickly spoil if exposed to moisture. This is by far the best-known type of fish food. If you ask someone who had never owned pet fish what you feed them, chances are they would say flakes – small pieces of a paper thin fish food. Flakes are great for surface feeders and those that swim in the middle of the water column. The downside to flakes is that they lose their nutrients quickly because they dissolve in the water, making them unsuitable for fish that live at the bottom of your aquarium. 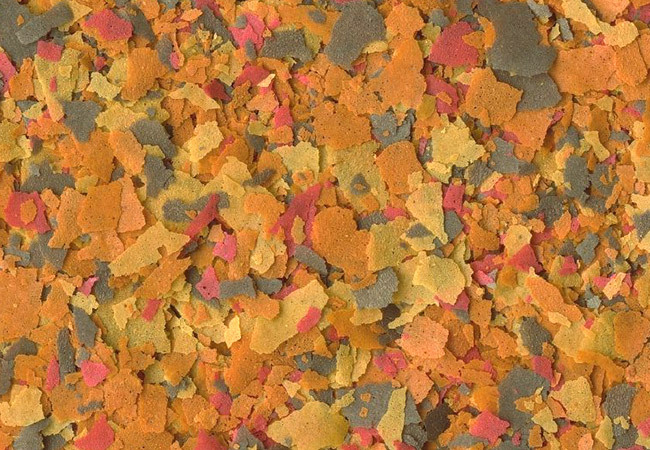 Fish flakes come in many different varieties, from color enhancing flakes to flakes designed for a specific species. Because there are so many types of fish flakes available, always read the label before you buy. If you find that the fish flakes are too large for your fish, they can easily be crushed into smaller pieces – all you need is a bowl and a spoon. 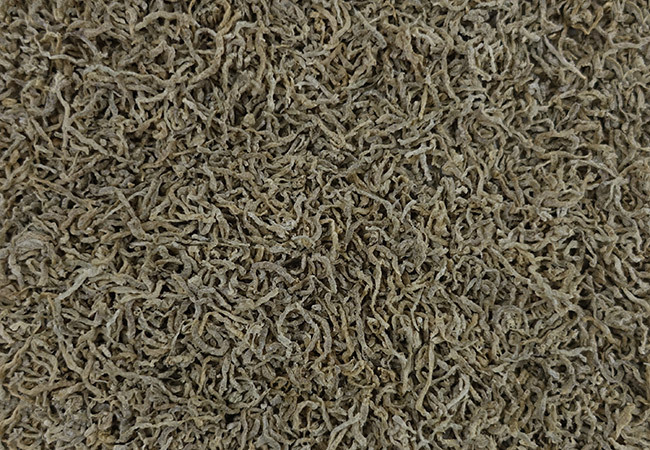 Below is one of the most popular types of flake foods on the market. 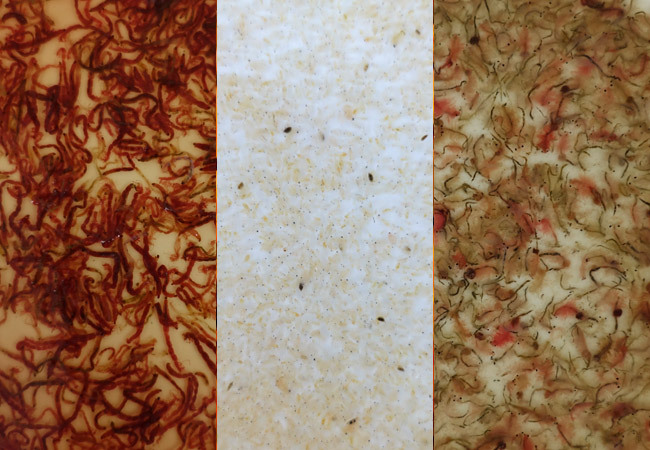 These flakes are designed for many different species of fish and can also improve your fish’s color, leaving them feeling full and looking fabulous! Why don’t more people feed their fish crisps? Well, there are a couple of downsides to crisps. First and foremost is the price difference. Crisps cost more. Not much more, but enough to make frugal shoppers stick to traditional flakes. 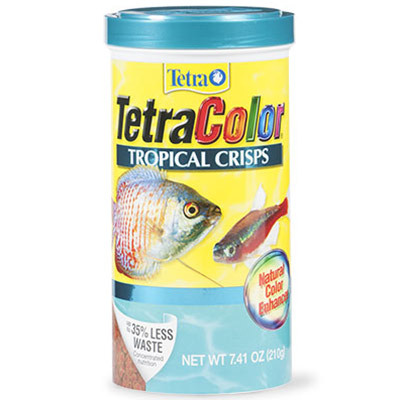 Then, there is the problem that crisps can be too large for the mouths of smaller fish, such as neon tetra. However, you can overcome this issue by gently crushing the crisp between your fingers before adding to your aquarium. If you are sick of fish flakes dissolving and dirtying your water, then crisps are worth every penny. Below is one of the most popular crisp foods on the market. 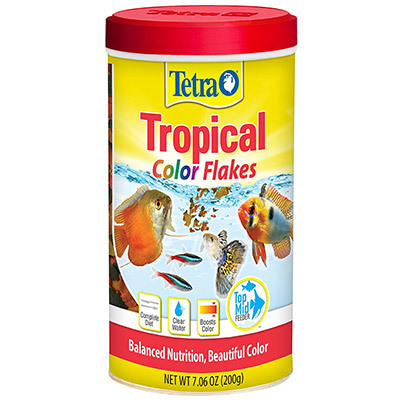 Not only is it specially formulated to suit a wide range of fish, but it also enhances their color. Your fish will not only be fed but look great too! 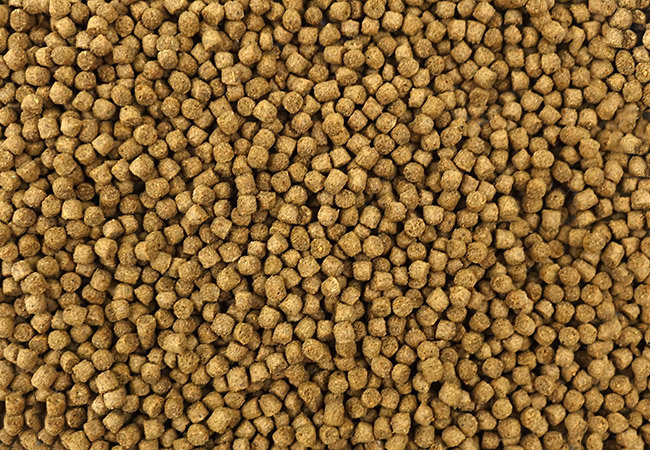 Pellets, sometimes referred to as granules, are designed to deliver food to wherever your fish prefer to eat. Like crisps and flakes, pellets can be made from a wide range of ingredients to suit a specific diet. As the name suggests, these pellets float on the surface much longer than other types of fish foods. This is because they contain lots of air, making them buoyant. 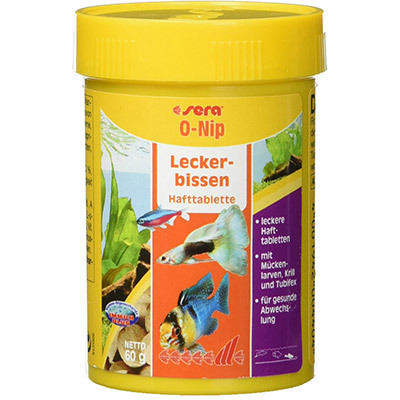 While this makes floating pellets great for top feeders, such as betta, the air content of some brands can potentially cause bloating or buoyancy issues in certain fish. 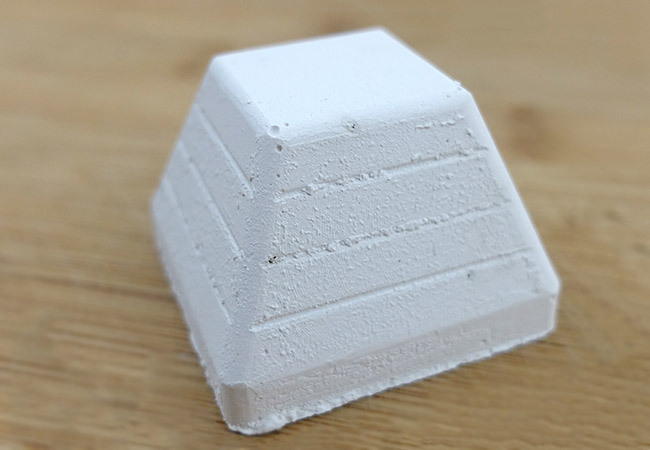 These come in a wide range of sizes, from so small that it almost resembles powder to large gravel-sized chunks. If the name wasn’t a giveaway, these pellets slowly fall to the bottom of your aquarium – slow enough for shy mid-feeding fish that don’t want to go near the surface to get a good meal. Heavy pellets that rapidly drop to the bottom of your aquarium for plecos and other bottom dwellers to feast on. 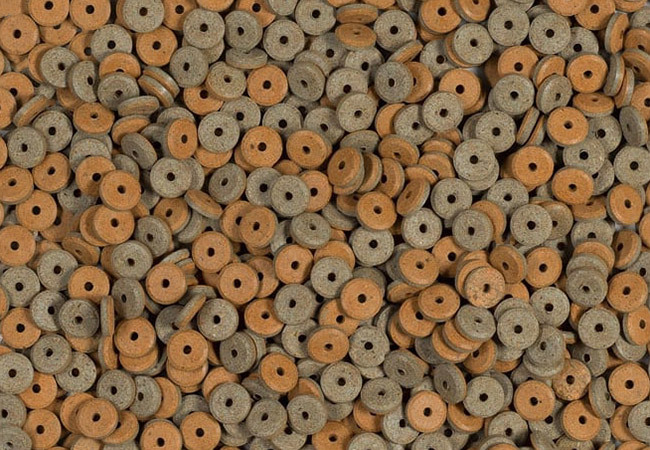 These dense pellets are typically packed full of nutrients – so pay attention to the directions so that you don’t overfeed your fish. If you are like me, you love to watch your fish at feeding time. Even the laziest fish whirls into motion at the sight of food! The problem is, if the food floats on the surface or falls behind plants or decorations, you don’t have a good view. As if by magic, the tablet sticks to your aquarium, allowing you a front row seat of the fish feeding frenzy! Not convinced? This short video will show you what you are missing! Using a stick-on tablet is a great way to show off your fish when you have company. With a view like that, it always puzzles me why stick-on tablets are not more popular. Tracking them down can be a mission – none of my local fish stores keep them on the shelf. While the UK has Tetra Funtips, my personal favorite, the US doesn’t really have many brands to choose from. Having tried a few different ones, Sera O-nip is the best I have come across that is readily available. When it comes to most types of fish food, you want them to dissolve as slowly as possible so that your fish have the best chance of eating them. Wafers are the exception to this rule. Wafers, sometimes called tablets, quickly sink to the bottom of your aquarium and slowly soften. Unlike other fish foods, wafers are not designed to be eaten in a single bite. Instead, wafers are meant to easily break up as they are nibbled. As the wafers soften, they can be rasped upon by fish like plecos or torn apart by shrimp. 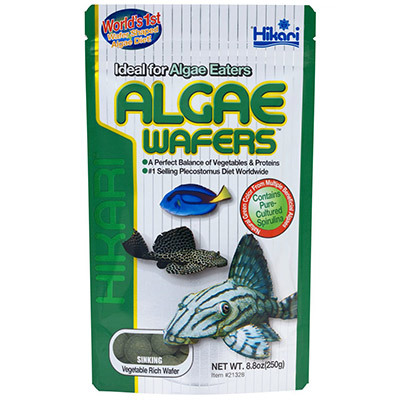 Available in both small and large sizes, wafers are typically packed with plants and vegetables – a delicious meal for any bottom feeder. When it comes to wafers, I personally use Hikari. Fish and shrimp both devour them. 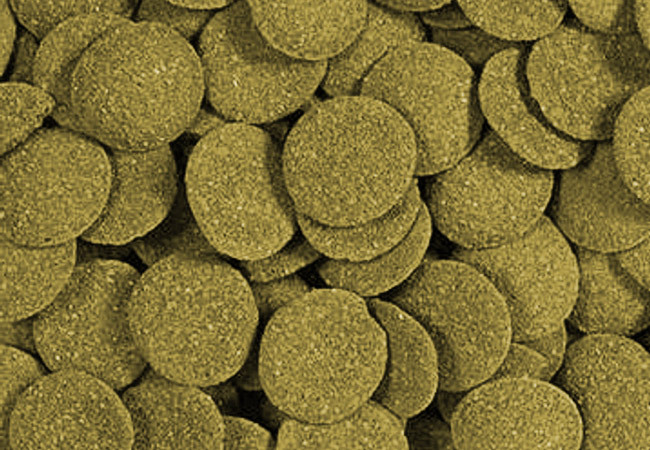 Hikari’s algae wafers, containing spirulina, are some of the most popular. Ever had loose leaf tea? Looks like the picture above, right? 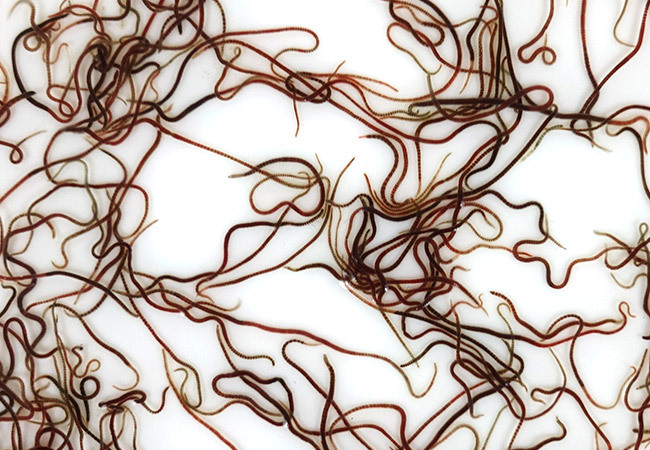 Well, believe it or not, these are hundreds of Californian blackworms – all shriveled up thanks to a process called freeze-drying. Unlike other dried foods, which are a mixture of different ingredients, freeze-dried food is typically a live food that has been dried whole. 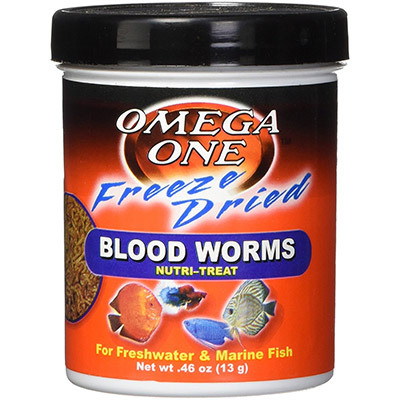 Brine shrimp, daphnia, blackworms, tubifex and krill are all popular freeze-dried choices. Freeze-dried food has a long shelf life and can be crumbled to feed smaller fish. Bloodworms are one of the most popular freeze-dried foods around – a favorite among betta, goldfish and many other popular pet fish. Vacation fish feeders are designed to deal with a common problem – feeding your fish while you are away from home. 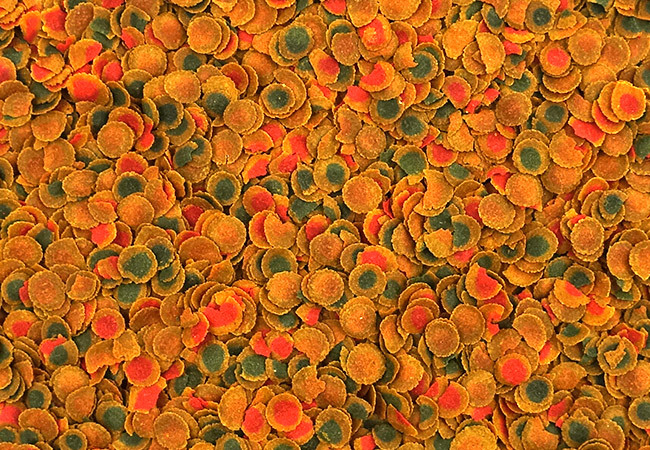 Also known as slow release fish food, these densely packed blocks of fish food slowly break down over time. As they break down, they release food for your fish to eat. 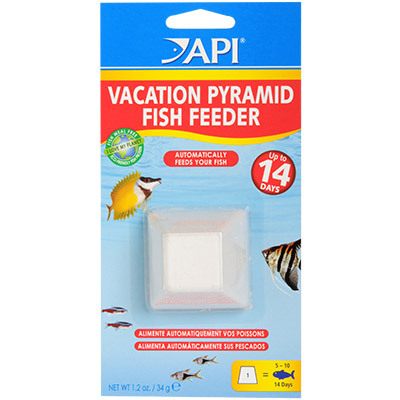 Believe it or not, vacation feeders can actually feed your fish for up to 14 days – without any effort from you. Many fish keepers have great success with vacation feeders. However, others return home only to find that not only did their fish refuse to eat the block but it dissolved and made the aquarium water cloudy. Planning on using a vacation block while away from home? Do a test run first. This way, you can monitor whether your fish will actually eat it and how it affects the water quality in your aquarium. Remember, you won’t be preforming a water change while you are away! My personal recommendation is to skip the vacation blocks all together and use an automatic fish feeder. This device feeds your fish whatever their favorite food is without you being nearby. My favorite is the Eheim Everyday Fish Feeder – Want to know more? Check out our Read the review here. In the early days of fish keeping, live foods were the only way to give fish the essential nutrients they needed. Today, most people in the hobby take advantage of both the quality and variety of commercial fish foods. The biggest downside to live foods is that they introduce diseases into your aquarium. This is a particular problem with poorly sourced live foods. Fortunately, your local fish store typically sells live foods that have been sustainably farmed specifically for use as food. With practice and patience, you can wean most fish off live foods. However, there are some fish, especially wild-caught fish, that do not recognize things that don’t move as food. In these instances, you will have to use a live food until you can train your fish to eat something more readily available. Common live foods that are stocked by local fish stores include…. 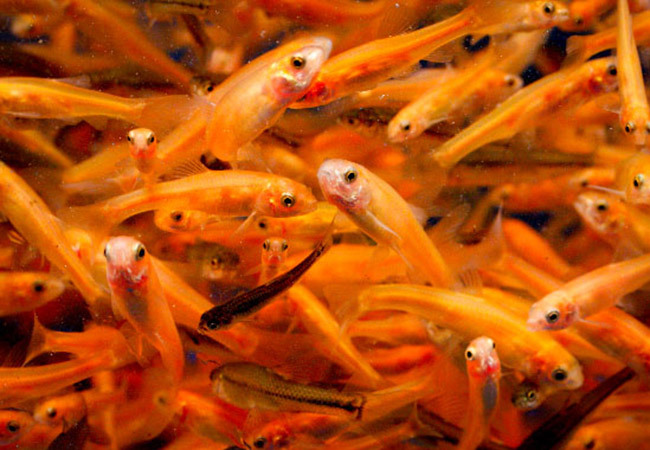 Many popular types of live fish foods, such as mosquito larvae, can easily be grown at home. Doing so will ensure that you have a continuous, fresh supply readily available – no more paying for live food every time you run out! Piscivores are fish that only eat other fish. As you can imagine, this makes feeding time difficult. That’s where feeder fish come in. 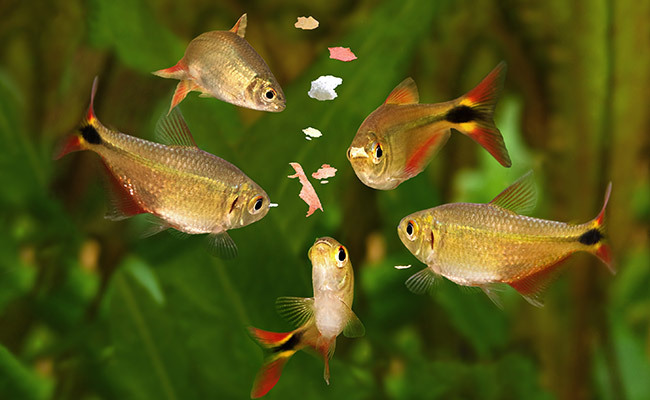 Feeder fish are fish that have been bred and raised with the sole purpose of becoming a meal for a larger fish. While feeder fish are sold in many fish stores, many fish keepers avoid them for ethical reasons. These fish are often crammed into small tanks – causing stress and disease. Not something you want to introduce into your aquarium. Fortunately, piscivores are not common in the hobby and are typically only raised by experienced fish keepers who know how to work around their dietary requirements. If you can find it live, then chances are you can find it frozen. While you can come across frozen food that is a mixture of different ingredients, they are typically a single live food, frozen into cubes. When feeding time rolls around, simply thaw the cube and feed it to your fish. You can even skip the thawing and add cubes directly to your tank if you want. Frozen foods should never be thawed and then refrozen. It may surprise you to learn that fish, which are herbivores or omnivores, happily eat vegetables if included as part of a balanced diet. Peas are a favorite amongst my catfish, platies and swordtails. 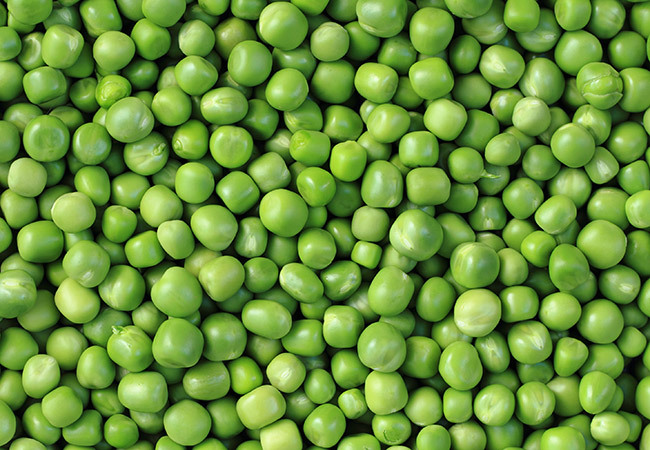 Simply remove the peas from their pod and squash them between your fingers. Add it to your tank and watch your fish go wild! Squash is another favorite, particularly with my catfish. I simply cut it into slices and skewer it with fork and place it into your aquarium. The weight of the fork will stop the slices of squash from floating away. Research online about the different types of fruits and vegetables your fish can eat – you may be surprised by the variety that you can introduce to your fish’s diet. The one thing to be mindful of is that uneaten vegetables need to be removed from the tank. Otherwise, they can foul up your water. I typically remove vegetables from my tanks after four hours, long enough for my fish to get a good feed. Well, there you have it! A comprehensive list of the most popular and commonly available fish foods. Remember, just because your pet fish is supposed to eat a certain type of fish food that doesn’t mean that it will happen. Like you and me, fish are unique. If one fish takes to a food that doesn’t mean another will – even if they are the same species. Monitor your fish to ensure they are eating properly. If your fish doesn’t take to a specific type of food, try another. Fish that are accustomed to live foods, for instance, often reject dried foods. Once you have figured out what your fish likes to eat, it’s smooth sailing from there! What does your fish eat? Let me know in the comments below! Slow Release Fish Food: Why you should avoid it! Would you please tell me where I can have fish food tested? I believe I got a bad batch and would like to confirm. Unless you were to contact a certified laboratory and have them test it for you against specific criteria (an expensive process), there is no service that I am aware of that can take fish food and tell you whether it is good or bad.